Among the super supplements used on the market, few are as effective at producing an improvement to overall health and performance as branch-chain amino acids (BCAAs). The great thing about the use of Best BCAA is that their use isn’t just a lot of hype, but is backed up by a ton of solid research. All BCAA super supplements are not created equal, so getting your hands on the best one to fit your health and performance goals can be something of a challenge. Our review of BCAAs will make a comparison of the best supplement formulas for women and for men, allowing you to decide which might provide you with the right combination of nutrients to suit your goals. Along with our Best tasting Protein reviews, we will provide some insight into BCAAs in general as well as answer some of the most common questions you might have about BCAA supplements. Our objective is to provide you with enough information to make a qualified purchasing choice. · Who needs to take BCAA’s? · Which BCAAs are in most supplement formulas? · Are there any BCAA side effects? It is hard to miss the fact that Fit Miss BCAA is geared toward women. The pink packaging sort of gives that away. This supplement is formulated to aid with the loss of fat and the building of lean muscle rather than bulking up. Fit Miss utilizes a ratio of 3 parts leucine, 2 parts valine and 1 part iso-leucine in their formula for the best muscle protein synthesis, reparation of muscles and metabolic boosting. It mixes well and has a pleasant flavor which appeals to most women. • The Fit Miss 3:2:1 formula is especially designed to target the goals and objectives of most female athletes as well as those who use it for fitness. • This supplement supports weight loss through increases metabolism and appetite suppression. • Lean muscle development which leads to higher metabolism is also supported. • This formula mixes well and has a pleasant flavour. • The artificial flavourings and sweetness of this supplement are a bit questionable when it comes to overall health. • Serving sizes only contain 3 grams of BCAAs instead of the standard of 5 grams. Because many women who are into fitness and athletic performance are also extremely busy, mixing one shake, let alone three, can be an issue. For this reason, many women get their supplementation through Optimum Nutrition BCAA Capsules. These capsules are formulated to accomplish the same lean muscle development, endurance, energy and metabolic effects of the powders, but in a more convenient form. Formulation ratio of these capsules is 2:1:1, which is the most effective way to maximize the effects of protein synthesis, muscle growth and recovery. • Because taste and appearance are not an issue with Optimum Nutrition’s BCAA Capsules, they are free of artificial flavors, sweeteners and colors. • These capsules are convenient for those who are constantly on the run and really don’t have time to mix up a workout shake. • They are perfect for pre-workout and post-workout supplementation. • Capsules contain lower dosages for those who don’t need extreme BCAAs, but want to benefit from their effects. • Each capsule contains only 1g of BCAAs, so those who follow the higher 5 g dosage will have to take 5 capsules at various times throughout the day. • Intra-workout supplementation is not a possibility with these capsules and you don’t have the added benefit of hydration, so you will still have to mix an intra-workout BCAA drink even if you are taking the capsules. The formula of 1 UP Nutrition Her BCAAs is designed for muscle repair, fat loss and lean muscle building like women tend to favour. It utilizes a 3:1:1 ratio in its amino acid mix and it adds in l-glutamine to help with post-workout muscle soreness. Collagen is an additional ingredient targeted at the health needs of women included in this formula. It comes in some interesting flavours to make it easier to enjoy. • 1 UP Nutrition Her BCAAs uses a 3:1:1 ratio in its amino acid mix, which is better suited for building lean muscle and fat loss than for bulking up. • The inclusion of l-glutamine helps with digestion, immunity boosting and helps reduce post-workout muscle soreness. • The addition of collagen makes it ideal for women, who tend to need more of this nutrient in their diets. • It also includes a hydration complex to help restore lost moisture during and after workouts. • This product is very pricey considering that you only get 30 servings in a container. • You are not getting a pure BCAA with this product, though you are getting additional benefits from the added ingredients. • The sweeteners used in this product are worse for your health than sugar. 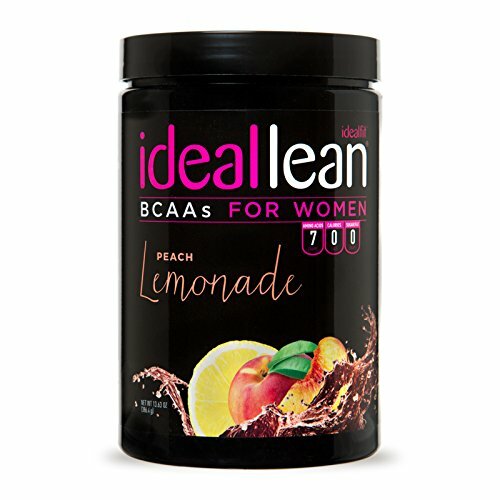 Again, you will take note of the hot pink script on the packaging of IdealLean BCAAs Supplement indicating that it is specifically designed for women. This zero calorie supplement targets fat loss and lean muscle building for an ideal metabolic rate. It utilizes a 2:1:1 ratio to optimize muscle protein synthesis. 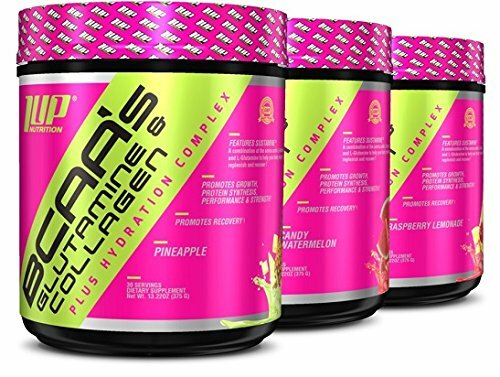 Its raspberry lemonade flavor is very appealing to most palates and it mixes well to make it a refreshing drink before, after and during your workout while it provides all of the benefits you need from a BCAA supplement. • IdealLean provides a formula for building lean muscle, appetite suppression and speeding metabolic rate. • This product contains no sugar, no carbs and no calories. • Each serving size contains 7g of BCAAs, with the addition of l-glutamine and l-citrulline to help fight muscle fatigue during your workout, so you are getting more per serving. • Vitamins B6, B9 (folic acid), and B12 are added into this mix along with magnesium. • There are other useful additives included in this formula such as: green tea extract, coconut, glutamine, citrulline and tonalin CLA. • The raspberry lemonade flavor is a little bit too sweet for some palates. • This formula is sweetened using sucralose, which is likely worse for your health than sugar. 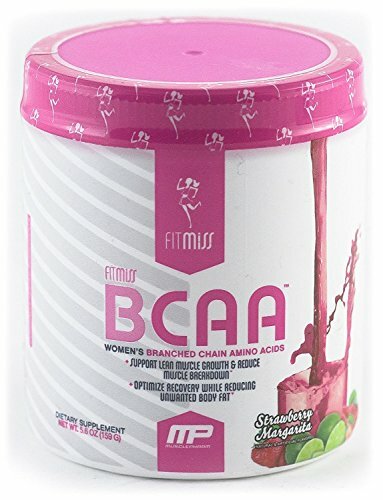 Though the targeting of this supplement is not female centric, BPI Sports BCAA Powder is the ideal formulation for women who desire the lean muscle and fat reducing benefits of BCAAs without bulking up. 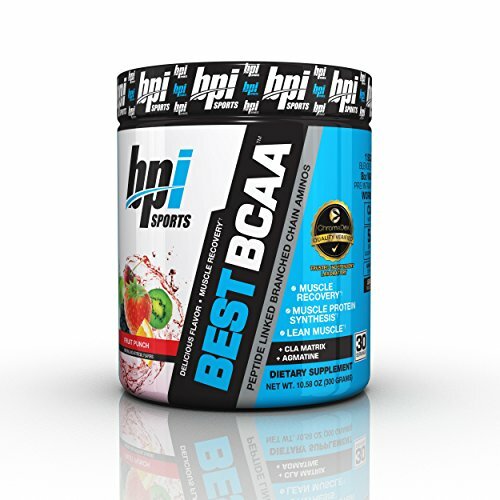 BPI uses a 2:1:1 ratio in its formula to help with strength, endurance and building lean muscle along with assisting in post-workout recovery. It has a pleasant, fruit punch flavor which appeals to everyone and is not too sweet to be overpowering. The CLA complex included in this formula is also beneficial for skin and encourages weight loss as well. • Though BPI’s targeting is not female centric, it contains a 2:1:1 blend that works to build lean muscle, aids endurance and helps with post-workout recovery. • Its CLA matrix blend utilized some of the best medium chain fatty acids to encourage better skin health and fat loss. • Excellent blend for post-workout recovery. • It has a pleasant, not too sweet, flavour. • This is a very affordable supplement. • This formula doesn’t contain collagen or green tea, which are typically found in women’s BCAAs. • This product also contains sucralose and a number of artificial flavours and colors. The focus of Cellucor, BCAA Supplement is on improving muscle endurance, building muscle, promoting fat loss and better mental focus. It utilizes a 2:1:1, but also includes 11 additional amino acids to increase its effects on energy and performance. Included among these are citrulline malate, beta alanine, and HICA, which are often used as supplements for patients with heart conditions and those with immune deficiencies. Electrolytes are also included in this formula to help enhance hydration and workout recovery as well. This supplement comes in appetizing flavors that appeal to most everyone. • This supplement is well formulated for proper muscle growth, strength, endurance and post-workout recovery. • There are no sugars, carbs or fats included in this supplement. • It comes in appealing flavors to fit most palates. • You receive 4 grams of additional BCAAs and 11 additional amino acids in each serving. • This supplement cannot be used by athletes under the age of 18. • The addition of artificial flavors and sweeteners in this formula is a negative. • This is a pricey product compared to the other BCAAs in our review. The formula of MAN Sports Iso-Amino is a very straightforward blend of BCAAs in a 2:1:1 ratio. It does not include l-arginine, l-glutamine or any other vitamins, minerals or hydration mixtures. For someone who wants just pure BCAAs, this is a very appealing supplement. It is affordable, flavoured to fit most tastes and includes no soy or sugars and free of artificial colors and dyes. • MAN Iso-Amino is a straight forward 2:1:1 blend of BCAAs without any added extras. 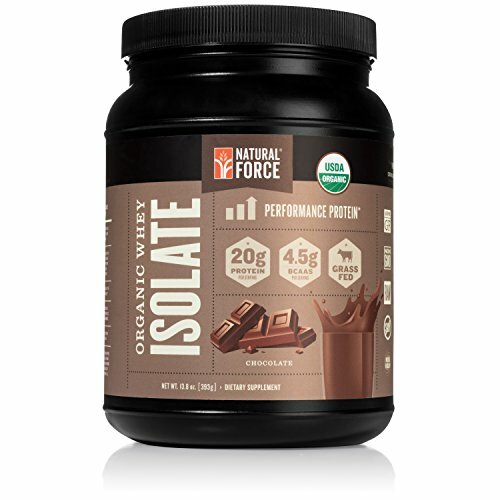 • This supplement does not contain soy, artificial colors, sugar, or calories. • It as a very appealing flavor that most enjoy without being too sweet. • This supplement is still pretty affordable compared to the others in our review. • Though it is free of added ingredients, it is loaded with artificial sweeteners, flavors and maltodextrin, which is a type of high glycemic carbohydrate. • This supplement is processed in a facility that also processes allergens like: nuts, milk, eggs, soy shellfish and gluten products. 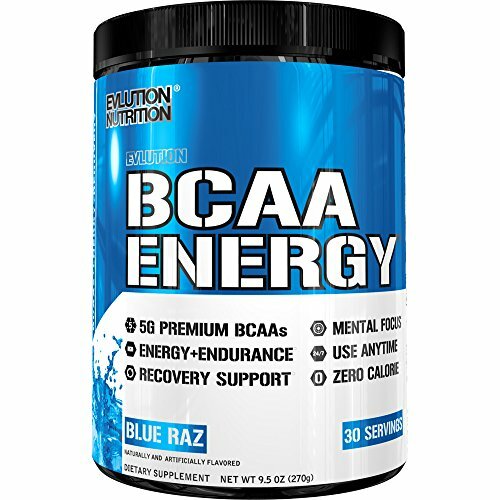 High performance and energy are built into Evlution Nutrition BCAA Energy supplement. This supplement not only includes the right 2:1:1 blend of BCAAs, but it also includes an impressive supporting cast. That supporting cast includes vitamins B6, B12 and C, which are solid supplements when it comes to muscle building and recovery support. Also included are beta alanine, l-alanine and l-taurine, which helps to improve the production of nitric oxide. In addition, you get the natural energy booster from coffee bean and green tea extracts to round out the extras in this formula. • The blend of BCAAs plus the supporting amino acids makes this an enhanced BCAA with an excellent blend. • The addition of vitamins B6, B12, and C also enhance the muscle health support of this formula. • This is a well-reputed name brand in the fitness industry. • The taste of this supplement is appealing to the vast majority of users as well. • This supplement is the most affordable of all of those we have in our review. • This supplement contains questionable artificial sweeteners and artificial flavours. • It also includes soy, which is detrimental to the male reproductive system and is linked to BPH and prostate cancer. The appeal of BulkSupplements BCAA Powder is its purity. This is a high-end supplement that has been tested for purity and utilizes the best ingredients in its 2:1:1 BCAAs blend. This product doesn’t include all of the additional ingredients that many of its class do and it does not contain artificial sweeteners, flavors or colors. Gluten, sugar, dairy and soy are also certified as being absent from this supplement as well. • This supplement has exactly what you need in a 2:1:1 blend BCAA supplement and nothing else. • It is lab-tested for purity. • It is free of artificial flavors, sweeteners and colors. • It is free of gluten, sugar, dairy and soy and their byproducts. • The manufacturer is well-known and well-trusted. • The per serving price of this supplement makes it very affordable. • This supplement is manufactured in China. • Though it lacks all of those undesirable extras, it uses corn as a filler. • Its taste is less than appealing and has to be masked in order to get it down. 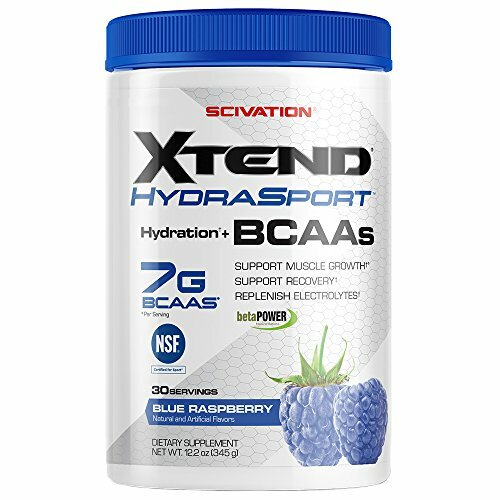 Scivation Xtend Hydrasport BCAA Powder is a straight forward supplement. 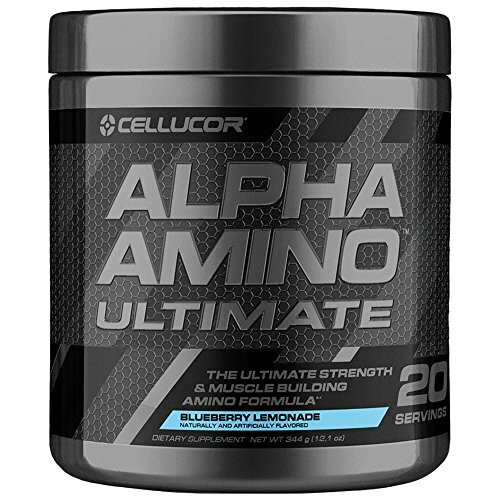 Besides its 2:1:1 ratio of amino acids, this formula contains electrolytes in a beta anhydrous blend to help keep you hydrated during workout and encourage quicker hydration recovery afterward. 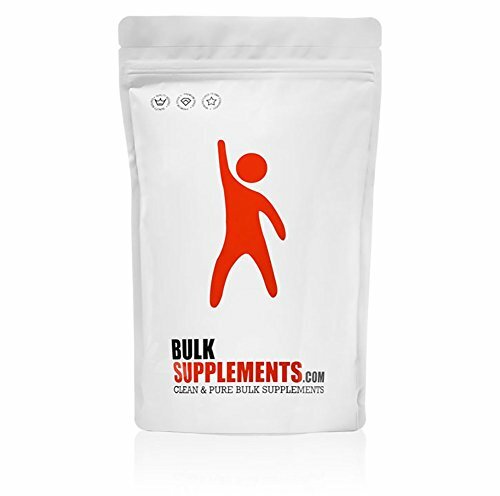 Serving sizes of this supplement include 7 grams of BCAAs instead of the standard 5 grams and there are no sugars, carbohydrates or calories included in the formula either. The flavor choices are both appealing to most palates as well. • The best BCAA ratio for strength, lean muscle building, endurance and post-workout recovery is included in this supplement. • It includes a beta anhydrous blend with electrolytes to help keep you hydrated during and after your workout. • You are getting more pure supplementation with this product without a lot of additives. • The flavors of this supplement are appealing and not too sweet. • There is no research to suggest that 7 grams of BCAAs is more effective than 5 grams of BCAAs, so you might be wasting 2 grams per serving. • Some don’t particularly care for the kiwi-strawberry flavour. Who needs to take BCAA’s? • HIIT Training. If you are regularly engaged in this type of high intensity training, you will benefit greatly from BCAAs because glycogen and glucose are being rapidly depleted during your workouts and protein synthesis breaks down. To get the most out of your protein, you will need BCAAs to help with protein synthesis. • Cutting Calories. Those who cut calories in order to get lean tend to go for a calorie deficit, which can lead to catabolism. Catabolism goes beyond using fat for energy and starts to breakdown muscle for this purpose. BCAAs can help protect you against muscle loss. • Reducing Muscle Soreness. Everyone knows the feeling of soreness that hits following an intense workout. It is part of the “no pain, no gain” mantra, but it doesn’t have to be quite so intense, even to the point of debilitating. Research on BCAAs shows that they are very effective at reducing post-workout muscle soreness. If you want to be certain that you are getting all of the BCAAs your body needs, it is best to add one of our best supplements to have complete control over getting the exact combination that will help you achieve your goal. Best BCAA make up 35% of your muscle mass. They are essential nutrients, which means that they have to be consumed in order for them to be present in your body, as opposed to non-essential nutrients, which your body can manufacture through proper nutrition. For most individuals, getting enough Best BCAA for normal function can be easily accomplished through a typical diet. However, those who regularly workout or who are working on building and sustaining muscle are probably not getting enough of these amino acids to accomplish their goals. An examination of a few definitions will help narrow down exactly what we’re talking about when discussing BCAAs. • Protein. This is one of the three macronutrients: carbs, fats and protein. It is essential for building muscle and other tissues and all human and non-human living organisms require it in varying amounts in order to survive. • Amino Acids. These are organic compound that are the building blocks of protein. When you consume protein, your body breaks it down into amino acids, which generate and regenerate various tissues in the body, including muscle tissue. • Branched-Chain Amino Acids. These are a class of essential amino acids which help produce the insulin necessary to turn sugars into energy. In addition, they transport nitrogen throughout the body to assist in the formation of complex muscle tissues, which are a part of basic survival. In short, BCAAs are a class of amino acids. Amino acids are the building blocks of protein. Protein is what is used to create muscle tissue. Which Best BCAA are in most supplement formulas? • L-leucine. You can acquire l-leucine naturally from meat, dairy products, eggs, soy and other beans and legumes. This amino acid helps boost protein synthesis for weight control, lean muscle mass and cholesterol levels. • L-valine. This amino acid also helps in protein synthesis as well as reducing stress levels and providing greater immune support. It is typically included to help with the stress levels of high intensity workouts. • L-isoleucine. Energy levels and endurance are enhanced through the use of this amino acid, which is also useful in helping to synthesize protein to provide fuel during the workout. Each supplement has its own balance or ratio of the three main BCAAs, but typically the only variation is in the first ingredient in the formulas, which is always l-leucine. L-leucine can be seen in levels of 2, 3, 4, 8, 10, or 12 parts to 1 part each of the other two BCAAs. In general, the theory is that higher the level of l-leucine in the formula provides a higher level of protein synthesis for building more bulk, but there is no evidence to support that higher levels have any greater effect. Are there any BCAA side effects? The short answer is few to none. In fact, most experts contend that habitual or daily supplementation with Best BCAA actually increases their effectiveness. The only issues involving BCAAs comes with using them to excess, which is true with just about everything. Extreme Best BCAA consumption can lead to fatigue, nausea, headaches, loss of coordination and might even lead to insulin resistance (a precursor to Type 2 diabetes). Because of its affect on blood sugar levels, those undergoing surgery should avoid using BCAAs for a period of time before and after surgery. You will want to mention that you are taking a BCAA supplement to your surgeon to be properly advised concerning when to stop taking them and when it is safe to start using them again. Though they were once used to treat ALS (Lou Gehrig’s disease), more recent research has shown that they can be problematic and should be avoided as a treatment option. In addition, those who use alcohol to excess and those with heart, liver or kidney disease should avoid Best BCAA supplements, as should people with the condition known as branched-chain keto-aciduria. Once you have decided that Best BCAA can help you achieve your workout goals, you need to determine the proper dosage to fit your needs as well as the best time to take them. When is the best time to take Best BCAA? The short answer is before, during and after your workout. • Pre-Workout. Taking this supplement 30 to 60 minutes before your workout helps to activate and setup your body to utilize them during your workout. • Intra-Workout. Keeping them replenished along with hydration during your workout also help boost performance and give you greater energy to sustain a more effective workout. • Post-Workout. Taking them after your workout along with a post-workout meal or recovery drink can help you avoid delayed-onset muscle soreness and assist in preventing the effects of overtraining and catabolism. When utilizing Best BCAA supplements in order to enhance your workout, be sure to follow the directions included with the manufacturer’s packaging. If you start to experience any negative side effects, stop using them and consult with a healthcare professional.